We’d love your help. 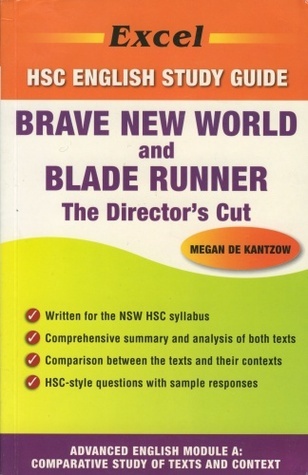 Let us know what’s wrong with this preview of Brave New World and Blade Runner by Megan De Kantzow. The Excel HSC English study guide series has been specifically designed to meet the needs of HSC students in NSW. • An introducti The Excel HSC English study guide series has been specifically designed to meet the needs of HSC students in NSW. To ask other readers questions about Brave New World and Blade Runner, please sign up.